Before I even aware about ISO, shutter speed, and aperture, let alone knowing how to adjust them, (yes, I was on that stage for the longest time), I relied a lot to the Scene Mode to take photos in special condition. One of my favourite is the Night Scene mode. Night Scene mode is great for taking images of illuminated objects in the dark. 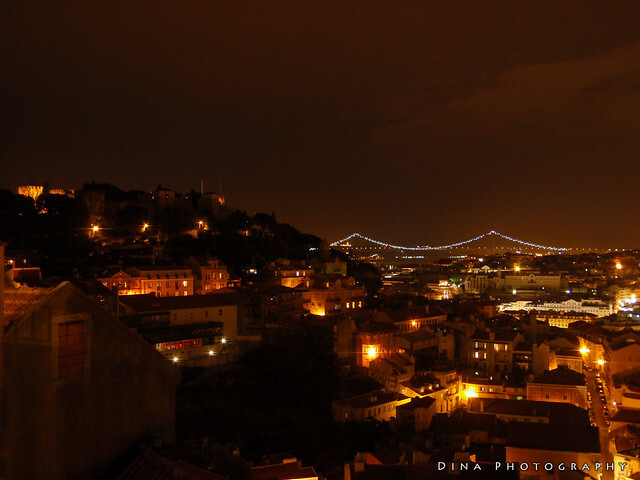 It relies on long exposure time (slow shutter speed) to collect the light from the illuminated object. My last 3 cameras have been Olympus (including pocket-able waterproof μ850SW and bigger micro 4/3 E-PL2), and they have this night scene mode. I hope you have it too in your camera, especially if you don’t care about the more manual setting. Night Scene mode, what and when? Illuminated objects with dark background. No tripod? Not a problem! Just place your camera in steady surface. Use any objects around you to create the angle correctly. Sometimes I even use my notebook or pen for this purpose. Even when you try to be really steady, the camera moved a bit when you press the shutter button. Avoid this using the camera timer or remote. Always hold your camera’s strap! I often use ledge/fence to place my camera. Since to create a crisp picture you should not touch your camera (yes, your body shakes all the time), the camera could fall from the ledge and break. Even worse if you are along a water body like on a bridge above river or in a high tower: Your camera could be gone forever! You don’t need to worry about this if using a steady tripod. Otherwise, hold on to your camera’s strap. Wow, now it’s a great shot! I mean, this photo was taken using an automated mode by just a pocket camera! Yes, a pocket camera can do it! Everything looks sharp and nice. It captures the city light, of beautiful Lisbon, and more importantly, it captures my memory about this moment – how many times you captures your precious moment in camera, but even when you have the picture that describes the occassion, it doesn’t capture the feeling of the moment? The picture is sharp, and I don’t even need to retouch it. What you are seeing here is the “as is” shot! So yes, a pocket camera can do it! 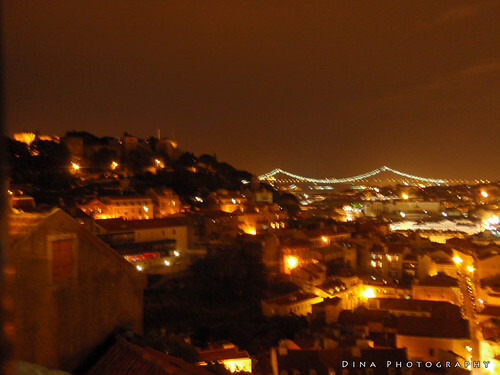 Lisbon night scene comparison. Picture 1 (left) shaking, picture 2 (right) steady. See the winner? Keep it steady! Btw, don’t worry about the ISO, exposure, and aperture information up there. If you have Night Scene mode, you don’t have to set it up yourself, it’s all automated. You can use it though, if your camera doesn’t have the automated mode.